The central standing figure here is Lieutenant Mecham wearing a blue kurta with black cords across the front. He has a red pagri wrapped round his helmet and an embroidered red kummerbund round his waist with a sword belt on top. He and the seated British officer are wearing Napoleon boots and white breeches. 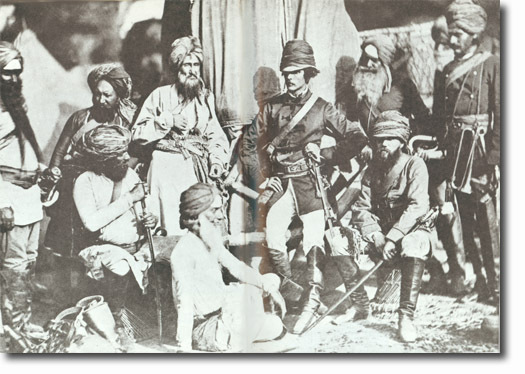 The seated officer is Major Henry Daly who also wears a red pagri but his kurta is paler. 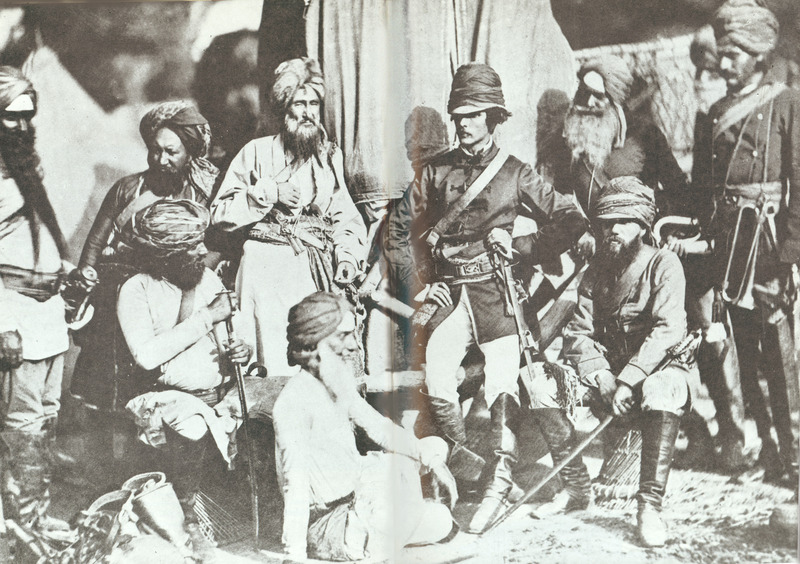 The man on the extreme left is Man Singh and the Sikh seated on the floor is Jai Singh. There is one more sikh behind Major Daly, the other Indian officers are probably pathans. There is a trumpeter with a bugle and trumpet on the right. He wears a tunic with a plastron front. He and most of the Indian officers are wearing jack boots and pouchbelts.